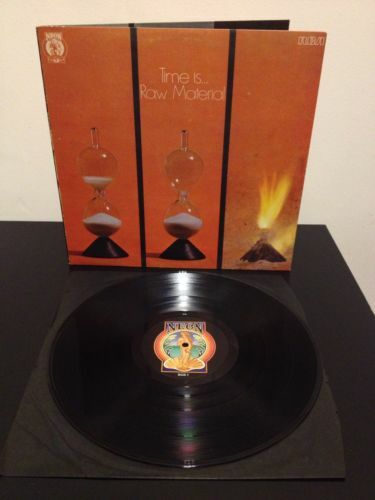 You are bidding on a mega rare British progressive rock LP byRAW MATERIAL-TIME IS...(1971, RCA Neon, England). This is the ORIGINAL issue, catalog number:NE 8 / AGBS 0569 / AGBS0570. The record is in VG++ / NM condition (some slight marks). The gatefold cover is VG+ (seams and corner wear, slight ring wear, seams are turning white). Comes with the original black inner sleeve. Please see the pictures before you bid and feel free to ask questions about the item. Thank you!